Your racer will be ready to tear up the slopes in the Descente Peyton Insulated Ski Pant. With 40 grams of powerful Heatflex insulation they'll be toasty warm no matter how cold it is outside, and the DTL waterproofing will keep them dry the whole time they're out there. But the feature you'll really love is the growth adjust system in the pant that lets the pants expand one additional size, meaning they'll still fit next winter after they grow. "The Descente website has Peyton Ski Pant (Kids) in 2 shades of pink. Are these 78 PINK or 84 SANGRIA?" "This shade of Pink is the 78 Pink." "Is there a full side zip on these pants?" "Unfortunately, these pants do not have a full side zip feature." "Does this snowpant have internal boot gaiters?" 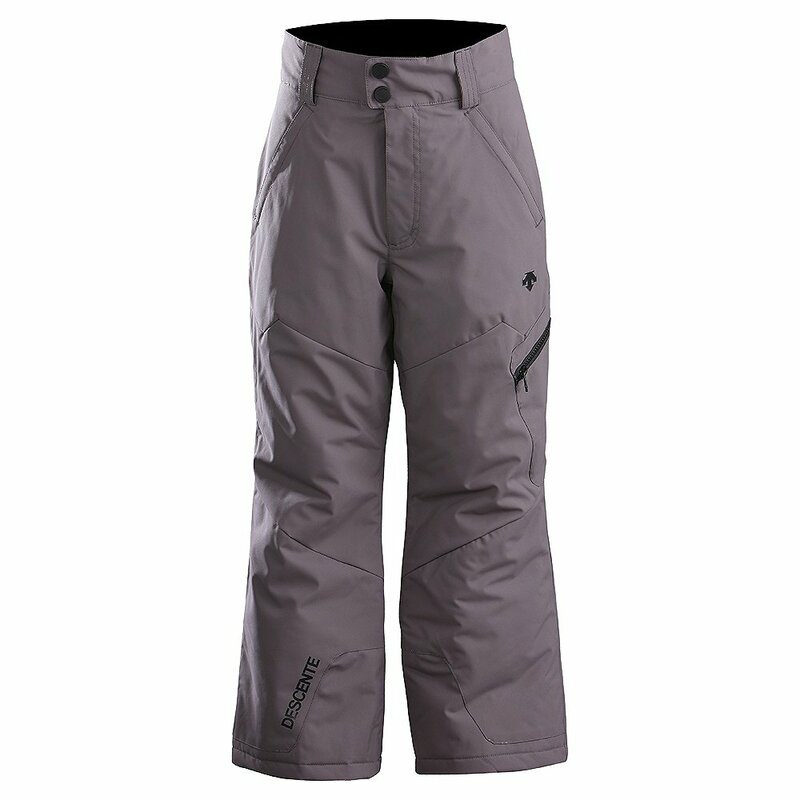 "Yes, The Descente Peyton Insulated Ski Pant does come with internal boot gaiters so you can stay dry and warm! We hope this information helps! " "Do your ski pants and ski jackets fit true to size for kids?" "Descente ski wear tends to run true to size. For accurate measurements and sizing CLICK HERE for Descente's size chart. Hope this information helps!"